It’s great that you can arrange an affordable ride using a mobile app. It’s not so great if you are seriously injured on the ride, and you don’t know who is at fault. In 2013, California became the first state to make ridesharing services legal, over the protests of conventional taxi and other transportation companies. In the months since, ridesharing has connected hundreds of thousands of passengers with drivers. The problem is that when you get into an Uber or Lyft car, you don’t know if the driver is capable or if you are in safe hands. Uber and Lyft say they only bring passengers and drivers together and are not liable for injuries. Drivers don’t realize their personal insurance policies don’t cover commercial situations. So when a ridesharing experience goes bad, what do you do? Chambers & Noronha is a pioneer in finding compensation solutions for individuals who have been injured in rideshare accidents. Injuries range from broken bones and lacerations to serious head and brain injuries. Injuries occur to paying passengers, but also to other people on the street — bicyclists, pedestrians, kids at crosswalks. It isn’t right that Uber and Lyft drivers get a free ride when their negligence causes harm. Our firm is known throughout the region for straight dealings, our lawyers’ extensive knowledge of California law and precedents, and our assertiveness in protecting your rights. Were you injured while ridesharing? 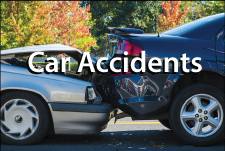 Compensation may be trickier than in other kinds of car accidents. The Santa Ana attorneys at Chambers & Noronha are experienced in obtaining damages in these kinds of situations. Call 714-558-1400 with questions — or ask them by email.